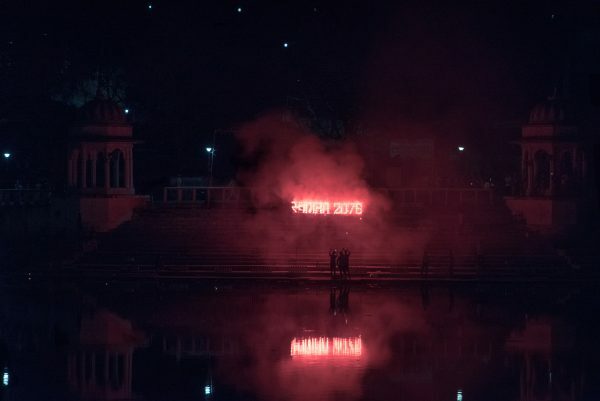 On the occasion of Hindu New Year, 2076 lake city painted in the shades of cultural events. 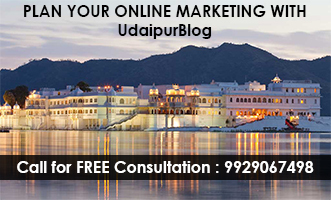 Day-long events took place in different parts of Udaipur. 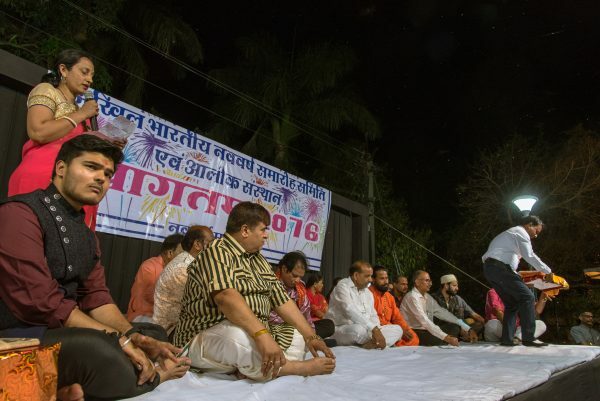 Akhil Bhartiya new year organising committee hosted ‘One lamp for culture’ programme followed by Maha Yagya and firecracker show at Doodh Talai on Saturday evening. A large number of people joined in, chanting ‘Bharat Mata ki Jai’. 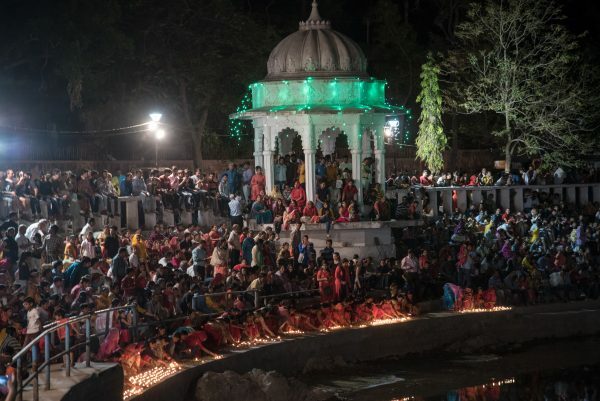 The women power of city reached Lake Pichola with ‘Holy Torch’, dancing on the beats of dhol. “On the account of Hindu New Year students of Alok Sansthan distributed prasad all over the city, wishing pleasant new year to every community and religion.” said Dr Pradeep Kumawat, Director of Alok Sansthan in his speech at Doodh Talai. He also remembered Shri Sham Lal Ji Kumawat (Acharya Ji) who started celebrating New Year 36 years back on the bank of the lake. 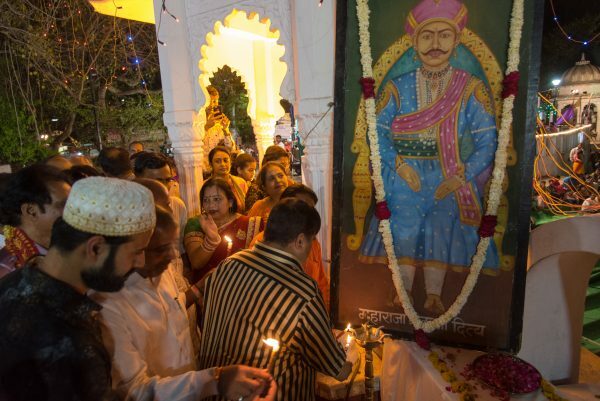 On the other hand, the Sindhi community celebrated ‘Cheti Chand’ in Shakti Nagar. Like every year god of water ‘Jhulelal’s’ lamp rally was organised. 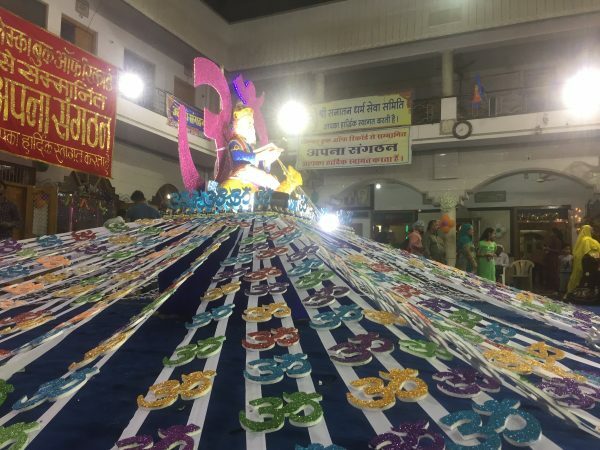 Continuing the tradition of decorating the idol of god unique every year, this time more than 2000 ‘OMs’ were used. The celebration was followed by the fair and various activities. 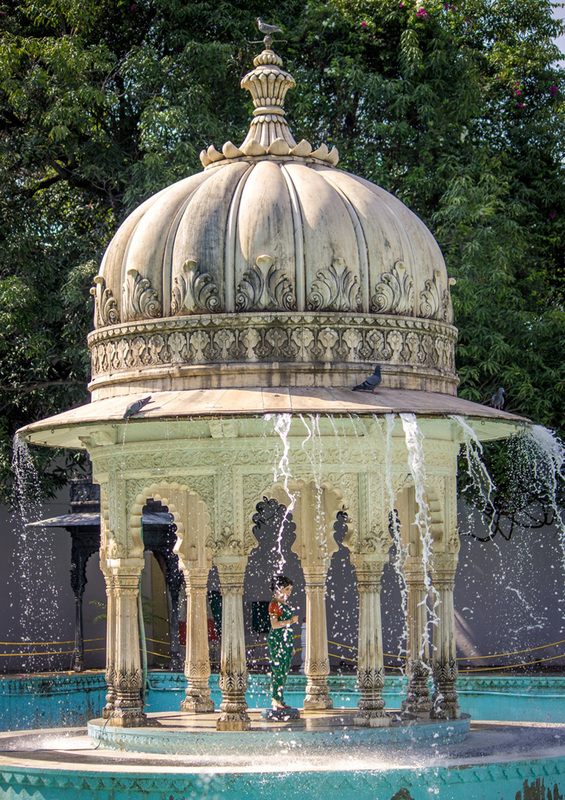 This is how Saturday evening was done right in Udaipur. Roads all over the city were brightened with lights. Reflecting diversity and harmony the city celebrated.